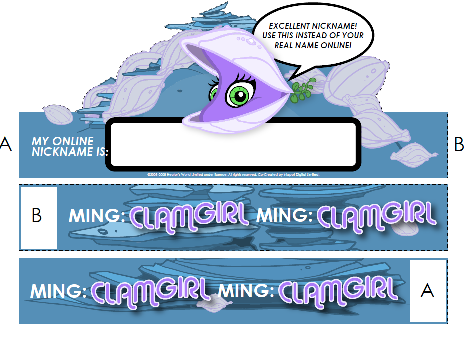 In the first set of episodes, an important skill we reinforce is the selection of an online nickname. A good activity for classrooms or at home would be selecting a nickname which is fun for the child but which offers no identifying information. Children may get some ideas from our character nicknames ‘Supercrab’, ‘Trueblue’, ‘Finstar’ and ‘Clamgirl’ etc. which are printed on the hats.